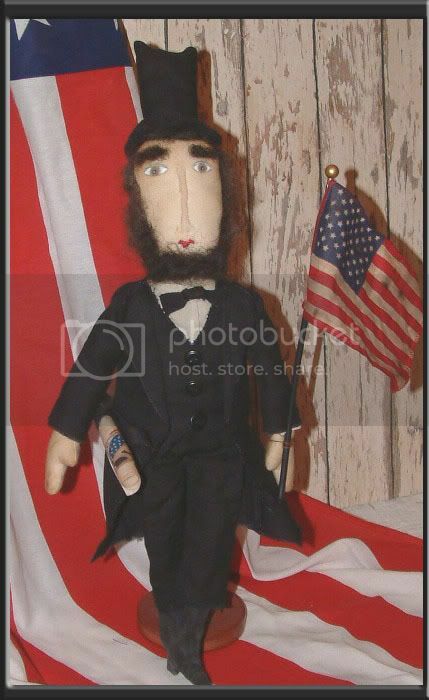 Abe Lincoln stands 19" tall. He is dressed in a white shirt with black bowtie, long black coat, vest, pants, and hat. He carries a copy of the Gettysburg Address under one arm and an American flag in the other.